James Gore was born and raised in the 4th District, living in Cloverdale, Healdsburg and the Mark West area of Santa Rosa. He attended Jefferson Elementary in Cloverdale and graduated from Montgomery High in Santa Rosa. After high school, James moved away to attend college, graduating from California Polytechnic State University, San Luis Obispo with a Bachelor’s Degree in Agribusiness. After graduating from college, James joined the Peace Corps and worked in Bolivia, South America. There, he collaborated with community members to build water management systems, better manage agriculture production, and of personal importance, developing a health and hygiene campaign that successfully linked seven isolated communities around medical & dental care and education. It was also during this service that James met his future wife, Elizabeth, a fellow Peace Corps volunteer from Texas. After serving in the Peace Corps, James worked in the private sector during the day while earning a Master’s Degree at night from George Washington University. After receiving his degree and continuing his private sector career, James secured an appointment from President Barack Obama’s administration as Assistant Chief of the U.S. Department of Agriculture’s (USDA’s) Natural Resources Conservation Service (NRCS). During this service, James led nationwide conservation efforts at the intersection of agriculture, business, and the environment. In an effort to enhance both a vibrant economy and protect our nation’s natural resources, James advocated for and led efforts to expand services in persistent poverty areas with underserved communities – leading to the creation and deployment of USDA’s persistent poverty initiative, StrikeForce for Rural Growth and Opportunity. James also helped lead efforts on climate change mitigation and the protection of Pacific salmon habitats. He created and deployed the NRCS Pacific Salmon Habitat Improvement Partnership, which yielded $12 million dollars in federal funding to West Coast watersheds, including the Russian River watershed. James Gore is fluent in Spanish and Italian, and enjoys spending time with his family when he’s not out and about in our community. 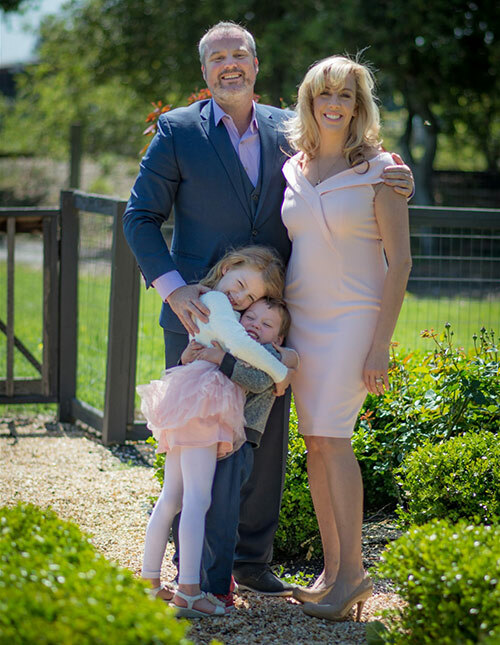 He lives in Healdsburg where he and his wife, Elizabeth, an Entrepreneur-in-Residence for Dell and Co-Founder of Hello Alice, are raising two young children: Opal (6) and Jacob (3).